We first blogged about PhotoSketch back in 2007 and it now looks like its intriguingly close to market. 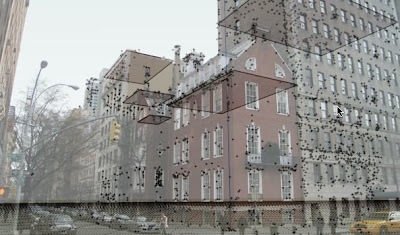 PhotoSketch by Brainstorm Technology LLC is a Google SketchUp plugin that enables the user to build 3D urban structures directly from photographs. It is aimed at architects, designers, and entertainment content creators allowing a new approach to create lightweight 3D models of existing buildings. Sure you can model direct onto photographs already in SketchUp and indeed that is the basis of a lot of the models currently seen in Google Earth. Where Photoshetch seems to differ is the ability to determine camera positions and extract and match geometric features derived from a collection of overlapping photos of an urban scene. Thanks go to Phil for a comment in the original post for the heads up. I have replied by email that they will launch the plugin later in June. The price will be $350 with a free 30-day trial period.